← Best Use of Old Soup Cans! 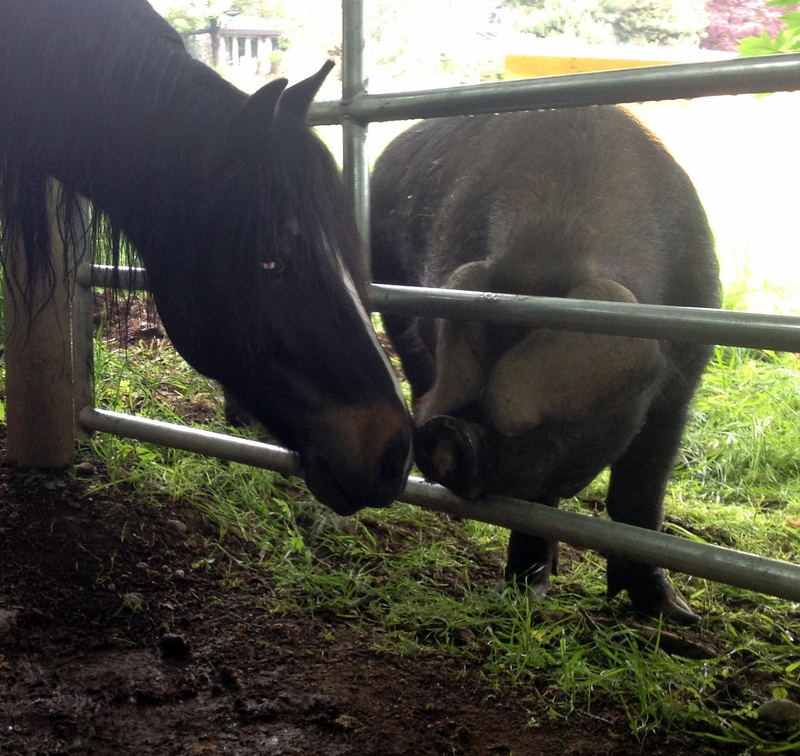 This entry was posted in Blog, Horses, Pigs, Uncategorized and tagged agriculture, animal behavior, farm, hogs, horses, inter-species friendship, Large black hogs, NaBloPoMo, Pigs. Bookmark the permalink. I think it shows that your animals are well taken care of for them to get along as they do. Love this. I find it fascinating that animals will bond across species like that – I guess I shouldn’t be surprised, since WE bond with THEM and vice versa, but as you point out – a half ton horse and a 5 lb rabbit? Wow. Our cat Teak is missing the dog…they were accustomed to checking in with each other a few times a day – not buddies exactly, but housemates. There’s been a yowl of disappointment or two, she doesn’t like having her routine knocked out of kilter. Me neither. Please find photos of that! This post makes me miss my horses back on the farm. 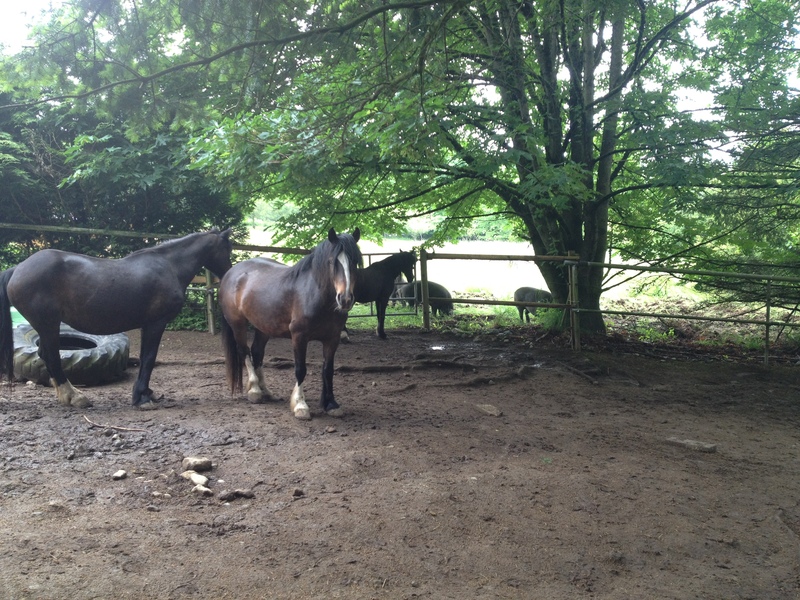 If someone leaves any of the doors to the house open in summer and we have the horses out, Ike will try and get inside. I love interspecial relationships. Like men and women, for example. I used to have a ferret and a cat. The ferret was our cat’s pet. It was wonderful watching them together.